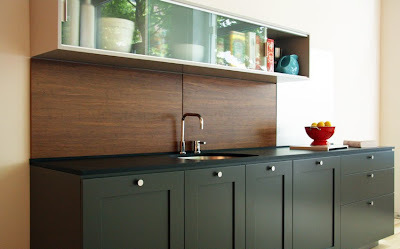 If you're not familiar with Henry Built, you need to be - the home-grown, Seattle-based company creates modular kitchens that are far from ordinary, bursting with good design sense, and just all around gorgeous. They're simple, clean and yet, wait for it, functional, something that, in my mind, makes good design great. Best of all, they've launched a sister-line called Viola Park, which takes sustainability to heart. 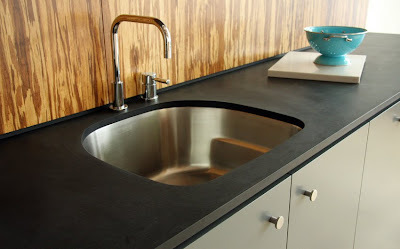 The line uses FSC-Certified wood, non-toxic finishes and other amazing features such as Paperstone countertops (made with recycled paper) and Bamboo Plywood. If you love the look of such materials but don't know where to get your hands on it, make your way here, to Sustain. In the meantime, enjoy Viola Park. 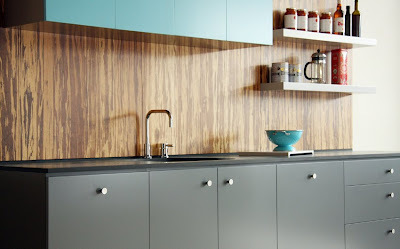 I love the idea of a modular kitchen. 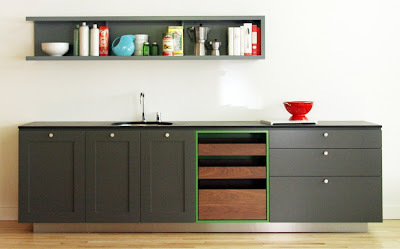 As a person that doesn't cook much, this seems like such a practical way to design a space.